I think we all can relate to Andrew’s question: How can this little bit that I have accomplish anything? We look at our lives, and in our own eyes we don’t see anything that God could use. We may not speak well, we may consider ourselves to be broken and scarred from the trials of life. We see that the need is great, but doubt that we could possibly be of use. 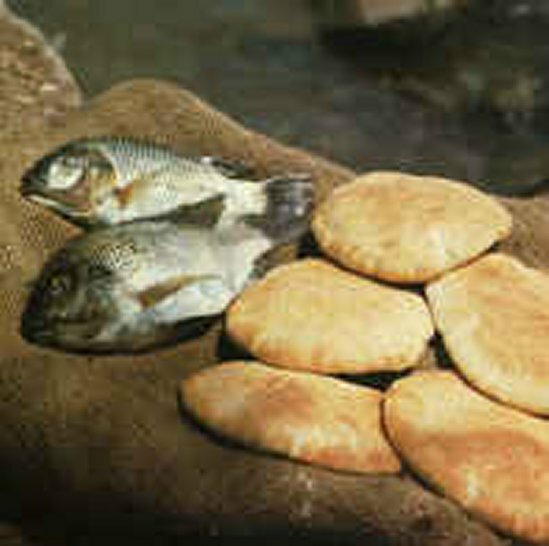 “Lord, all I have are these five measly loves of bread and two fish. What can I do with this?” Matthew’s account of this same story gives us the answer. Jesus will take you, bless you, and yes, break you, then use you to meet the needs of those He brings your way. Be assured that He has equipped you with all you need to minister to those around you,just give it all to Him, and watch Him do the impossible.